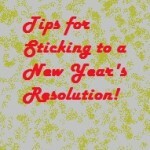 It’s that time of year when we all think of new resolutions we would like to fulfill in the coming year. We state things like, “I will have a cleaner home,” “I will loose weight,” and “I will pay off my credit cards.” However, do any of us truly fulfill those resolutions? I believe the problem with our new year’s resolutions is that we are thinking too broad. When you want to cook a meal do you just think, “I want to make spaghetti” and you automatically have spaghetti in front of you ready to eat? No, you also think of what ingredients you need and what steps in the cooking process you need to take. By breaking a task into smaller steps a larger goal can be accomplished. Think of your main resolution you want to achieve for the new year, then think of the steps you need to take in achieving that goal. For example if you want to loose weight, wouldn’t it be smarter to first find out how much you weigh and what your body measurements are. You might even take a starting out picture. Then you can determine your next steps, like what type of workouts you are interested in and what days and times you will incorporate exercise into your schedule. 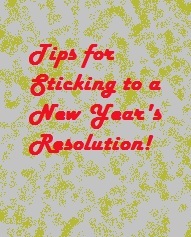 Take time to write out the smaller resolutions in chronological order. As you accomplish each one mark them off. It is also helpful to place each goal in an area to remind you of these smarter goals. For instance, if you are working on choosing healthier foods, write that down and place it on your refrigerator and pantry doors, as well as one inside your car. Another problem with new year’s resolutions, is that people become discouraged and even punish themselves if they slip up. We are only human; mistakes are bound to happen. So, with part of your smarter goal plan, add in a free day, or slip up clause. This will help you with those cravings and habits, instead of just going cold turkey. If you do have a major slip up, say eating an entire tub of ice cream or buying a $100 dress, then take a moment, breathe, and think about how that slip up made you feel; then forgive yourself. Now you can readjust your goals in whatever way needed. You might even want to go back and refocus on a smaller goal for awhile. Just don’t get discouraged and have faith in yourself. You can do it! I wish everyone the best of luck with their new year’s resolutions. Remember to focus on smaller goals to see your resolutions come to light. Next Cleaning/Organizing Tip: Organizing Mail: Stop the Chaos! 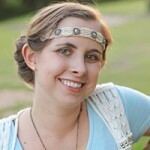 Next post: Organizing Mail: Stop the Chaos!